Just wondering if there's any call of duty players on here? 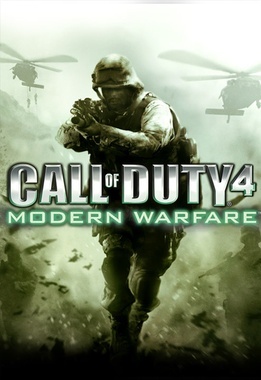 I love cod and the new modern warfare is pretty awesome. I have Modern Warfare 2. I love the Spec Ops. I haven't really done much online with it. I got up somewhere around level 25 online. I guess that's one reason why I didn't jump on MW3 right away... still so much left to finish in the one I have. im actually a legit 10th level prestige on mw2, not one of those hackers that cheated to get it. the spec ops on mw3 are pretty good. I think my brother said he got prestige 5 times. At that point he was working every 3 days (as a paramedic) so pretty much had at least 16 hours each week where he was at home and able to play while his wife was working. yea i did that before my son was born, i still have a decent amount of time to play but nowhere near as much as i use to. Yep. I completely understand. I have 3 kids now... and probably the only reason I'm online right now is because my wife is visiting a friend and watching a movie there for another half hour. One of the best games I have ever played ..